Are you the type of person who listens to their iPod while working? What about when you are at the gym? Is the music different depending upon what you are doing and when? It is often said that music is the soundtrack of our life, and has the ability to make us smile, cry, feel energized, or relaxed. What about color? Are there certain colors you like or dislike? Applying this thinking to structuring an innovation session, you might want to find a way to provoke an emotional response. In this post, we will explore how incorporating (or manipulating) our sense of hearing and sight via music and color may assist in enhancing peoples creativity. All of us have at some point studied the physiology of our eyes and ears. Different frequencies and vibrations in the air reach our eardrum and produce what we term “sound”. Light gets focused, forms an image, and the image is converted to electrical signals that tell the brain of what we “see”. Understanding each of these organs could require extensive study of Anatomy & Physiology and Physics by themselves, but putting the complexity of the human physiology aside, do these senses affect the individual psychologically? Starting with music, there are numerous papers that examine its impact on intelligence and creativity. You may be aware of the studies regarding pregnant mothers playing classical music and the belief they will have more intelligent children. Although this is still debatable, fundamentally it stands that soothing sounds can induce creativity and increase intelligence. What exactly is defined as soothing? According to Dr. Jeffrey Thompson from the Center for Neuroacoustic Research, Delta rhythms of 0.5Hz induct meditative-like states of consciousness and “whenever there are extraordinary meditation states present, brainwave electrical activity between the right/left hemispheres tends to synchronize. This synchronization of the cerebral hemispheres seems to only happen in special circumstances of consciousness – the “aha” state, the moment when the answer to a problem occurs, creative inspiration, great insight, and moments of awareness of ones own existence.” Although a majority of us can not measure the frequency of music we listen to, it is safe to assume that sounds of the harp, Tibetan bowls, recordings of nature, and slow instrumental songs will certainly put us in this required state of mind. 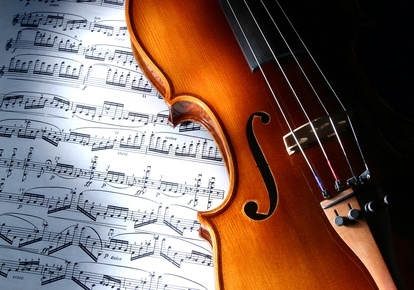 It has also been shown that learning how to play an instrument can improve our intelligence and abilities. In a study performed by the Association for Psychological Science, children taking music lessons scored higher on verbal memory tests than a control group without musical training. Although not explored in this blog, it is important to note that music is additionally linked to reducing pain after surgery and is strongly suspected to increase/decrease the violent tendencies of people depending upon the kind of music listened to. There are many articles and studies explaining how color can enhance mood, productivity, physical performance, and what we purchase (to name but some of the many examples). Several ancient cultures are known to employ what we now term color psychology for healing. Although viewed with scepticism, studies have been conducted that suggest a link between different colors and the state of our mind. One such study performed by the University of British Columbia (UBC) demonstrates how brain performance can be enhanced. According to Juliet Zhu from UBC’s Saunder School of Business, researchers tracked more than 600 participants’ performance on six cognitive tasks that required detail orientation or creativity. Most experiments were conducted on computers, with a screen that was red, blue, or white. As it turns out, red boosted performance on detail oriented tasks such as memory retrieval and proofreading by as much as 31%. When confronted with creative tasks such as brainstorming, blue environmental cues were shown to produce twice as many outputs as compared to the other colours. According to Juliet Zhu, “Thanks to stop signs, emergency vehicles, and teachers red pens, we associate red with danger, mistakes and caution. The avoidance motivation or heightened state that red activates makes us vigilant and thus helps us perform tasks where careful attention is required.” Blue, however, encourages us to think outside the box and be creative she says. “Through associations with the sky, the ocean and water, most people associate blue with openness, peace, and tranquillity. The benign cues make people feel safe about being creative and exploratory.” Other colors are also believed to affect the body and mind in certain ways – just do a quick Google search and you will be amazed at the abundance of information on both the positive and negative aspects assigned to each one. Keep people creative and energetic by alternating between classical and dance music. Use the classical music when you need them to be focused and creative. When needed, inject energy into the room by playing something with a faster beat. Play with the emotions different colors can evoke by use of colored lighting, and/or making available colored paper, crayons, and pens. Have no “traditional” white paper available. 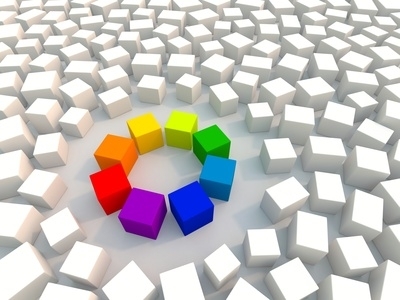 Form teams and force each one to be immersed in a particular color as they innovate (have them wear that color shirt or other type of clothing and use supplies of only that color). Allow the groups to experience being immersed in different colors. Do the same thing as described in the previous suggestion, but with the addition of music. Maybe subject one group to Jazz, another to Classical, and another to Dance/Rock. These are just a few examples of what could be done to improve creativity. 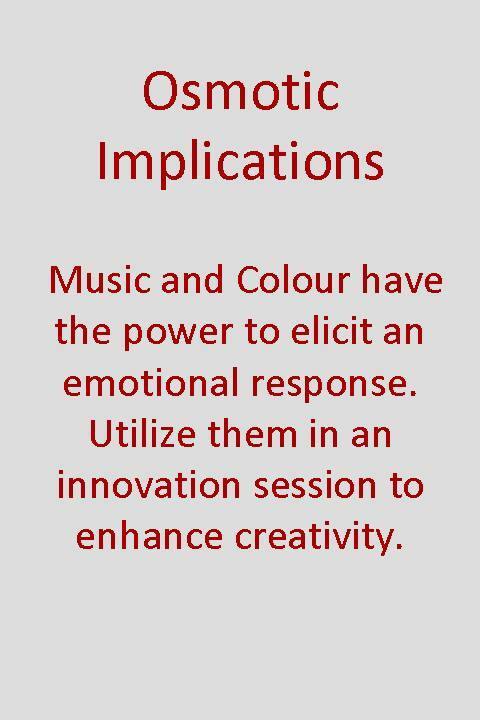 Experiment the incorporation of music and color with your own sessions and see what happens. This entry was posted in Creativity, Thinking and tagged Creativity, ideation, innovation session. Nice post. I learn something new on different blogs daily. It will always be stimulating to read material from other authors and practice a little something from their site. I’d like to use some with the content on my blog if you don’t mind. Natually I’ll give you a link on your web blog. Thanks for sharing. Hi Todd, I am glad you like the post. You may use some of my content – thank you for asking.